As the construction season winds down in some northern parts of the country, pavement maintenance season heats up in other parts. No matter how much work you have on the books for the remainder of the season, you’re probably looking at the deals original equipment manufacturers (OEMs) are rolling out to finish 2018 and help you prep for 2019. Here are some of the latest and greatest offerings specific to paving, compaction, and the pavement maintenance and preservation marketplace. Fork shields from Arrow Material Handling Products, Lenexa, Kansas, are designed to protect the most vulnerable part of the forklift fork from nicks, gouging, accidental damage and resulting stress cracks. By using these mountable protection devices, forklift forks last longer and protect against early replacement. Fork shields are available in three different sizes depending on the width and thickness of the fork in use. Fork shields are sold only in pairs and are to be mounted directly onto the forks. For more information, contact sales at (913) 227-0523. GSB-88® Sealer/Binder from Asphalt Systems Inc.® (ASI), Salt Lake City, Utah, is a gilsonite-based emulsified asphalt sealcoating product that has demonstrated in studies to add years of life to asphalt pavement and provide up to 400 percent ROI. Introduced in 1988, GSB-88 is designed to mitigate the impacts of surface oxidation and moisture damage on asphalt pavements, halting deterioration, sealing the surface to help repel water, and working to prevent or cure surface raveling. 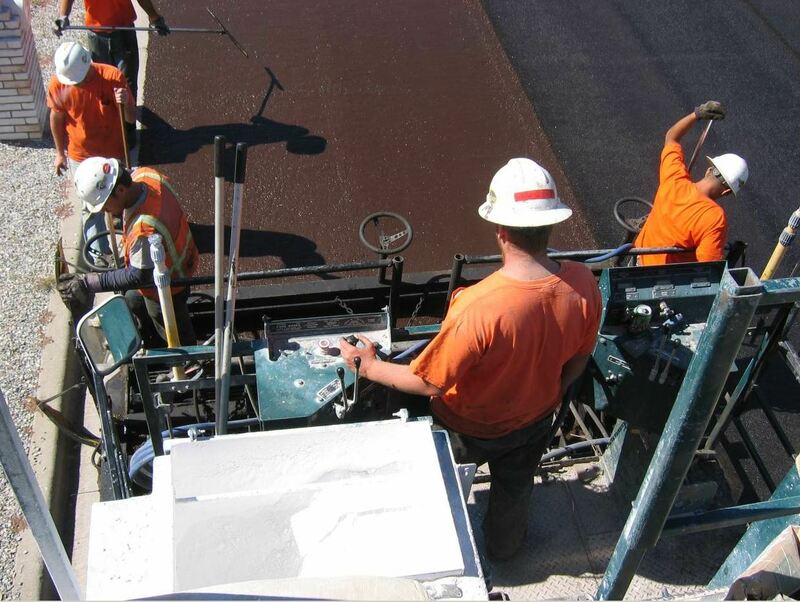 GSB-88 comprises a mixture of gilsonite (a naturally occurring resinous asphalt ore that does not have to undergo oil refining), plasticizers and oils that penetrate and reintroduce essential binders into the pavement matrix. For more information, call 801-972-2757. The Bergkamp EMCAD system is included on the M310E paver. 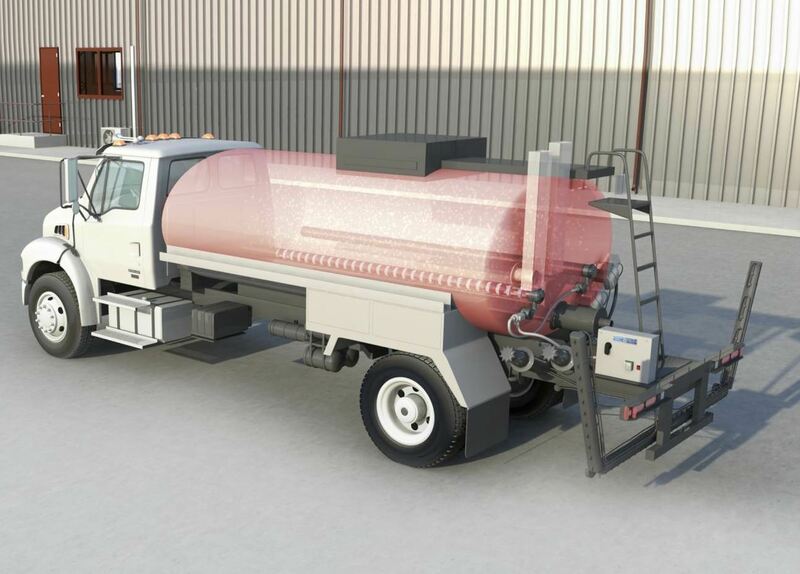 Introduced in 2017, the M310E truck-mounted slurry seal and micro surfacing paver from Bergkamp Inc., Salina, Kansas, features direct-drive hydraulics that are controlled by the company’s advanced EMCAD (Electronic Mix Control And Diagnostic) System. The M310E features the same proven design, efficiency and productivity as Bergkamp’s M310 paver, but eliminates the need for a side engine. Along with the Tier 4 truck engine technology, customers reduce their emissions reporting and equipment maintenance needs, and have complete control over mix design. The M310E finishes jobs faster by paving at an optimized rate and consistently delivering materials to specifications. The EMCAD System simplifies calibration, and troubleshoots in real time—monitoring paver functions and providing a warning before a breakdown. EMCAD has logged more than 40,000 hours in the field, with dozens of EMCAD Systems on Bergkamp’s M1E, M310 and M310E pavers. For more information, contact Tyler Kee at 785-825-1375. Chemtek Inc., Morrisville, North Carolina, has released its new silica dust suppressant NeSilex™ to reduce worker exposure to respirable crystalline silica dust. NeSilex is recommended for any dust-producing construction activity including milling, sweeping, crushing, mining, sawing, jackhammering, earthmoving and grading. NeSilex contains specially formulated surfactants, wetting and agglomerating agents causing dust particulates to saturate and attract to each other. This process allows for dust suppression, reducing silica dust inhalation by workers and the surrounding public. Initial testing has shown up to 100 percent reduction in respirable silica dust in certain construction activities. Using NeSilex will ensure that contractors meet OSHA Standard 29 CFR 1926.1153 Table 1 guidelines for exemption of employee exposure assessment for certain construction activities, according to the manufacturer. For more information, contact David Elam at (919) 631-4331 or david.elam@chemtek.us. Green Way Products LLC (GWP), Mahwah, New Jersey, has developed an alternative to using diesel fuel for cleaning equipment and tools. Bitu-Ox 400™ was designed by a chemist who had worked in the oil fields for over 40 years, working with a variety of chemicals to help remove oil sludge in the fields. When he came to GWP, he developed a product for use at asphalt plants, paving companies, roofing companies and more. Bitu-Ox is designed to immediately break down any tar-covered surface and turn it into a liquid form for easy clean-up. Bitu-Ox was formulated to work in extreme heat and cold, with a flash point of 400 degrees F.
For more information, contact GWP (888) 442-6191. Hitek Equipment Inc., Kenosha, Wisconsin, offers the new Malavasi Pavijet MG7 that turns your skid steer or loader into a mini paver. The internationally patented Pavijet is the only paver you can fill with gravel, sand, stones, hot asphalt, cold asphalt or concrete, according to the manufacturer. It is designed to handle worksites such as cycle tracks, sidewalks, parking lots, driveways, paths, utility trenches, road patching and more. The MG7 travels forward, placing material as any finisher would, and can bypass obstacles thanks to the retractable screed. The worker operates the screed, auger and hopper wings via hydraulic controls. For more information, contact Tom at (262) 842-1700. Mauldin Paving Products has introduced a new paver to its line of commercial pavers. The 1350-C has a standard working width of 4 to 8 feet. It’s designed for a multitude of applications ranging from road shoulder, to utility trenches, to small paths. The screed on the 1350-C weighs in at 2,000 pounds. The screed comes standard with thermostatically controlled electric heat, and sonic sensors to control the flow of material. The 6-ton hopper has independently controlled wings that can be completely opened up to allow for 180 degrees of material loading. For more information, visit www.4amauldin.com. Neal Manufacturing, a division of Blastcrete Equipment LLC, Anniston, Alabama, offers its Asphalt Road Preservation Package for optimal efficiency and high-quality results on both detail and high-volume sealcoating applications. The package includes the drivable DA 350 dual applicator for quick prep work and sealcoating around curbs and gutters, and the high-volume road maintenance vehicle. The DA 350 is a three-wheeled, self-propelled sealcoating machine that features a built-in, high-powered blower and AutoTrim, an automatic cutting-in attachment. The high-volume road maintenance vehicle features Neal Manufacturing’s Generation IV pump that delivers infinitely variable outputs from 0 to 150 gpm, even with larger aggregate mixes. For more information, contact eric@nealequipment.com. 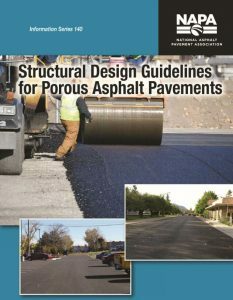 To help ensure new porous asphalt roadways provide reliable performance under traffic, the National Asphalt Pavement Association (NAPA), Lanham, Maryland, has published Structural Design Guidelines for Porous Asphalt Pavements. Written by Charles W. Schwartz, Ph.D., and Kevin D. Hall, Ph.D., P.E., with the support of the NAPA–SAPA Pavement Economics Committee’s Pavement Design Task Group, Structural Design Guidelines for Porous Asphalt Pavements discusses the structural design procedure for porous asphalt and the required inputs using the AASHTO 93 design method. Get the PDF download through the NAPA online store here. Lo-Density® Drywell Tank Heaters from Process Heating Co., Seattle, offer an efficient option for asphalt/emulsion distributor truck tanks. With the Lo-Density heating system, the operator plugs the heater in at the end of the shift so it can maintain the material at the correct temperature overnight or over a weekend. The result is that the truck is ready to begin work immediately at the beginning of the shift, without waiting on burners to heat the material. With no open flame, these heaters eliminate safety concerns with lighting and operation of burners. The low-watt density heaters safely dissipate controlled heat on the sheath, providing even heat distribution throughout the reservoir to prevent coking or damage of temperature-sensitive emulsion material. Because PHCo’s unique drywell-style elements reside inside the heater’s sheath, they are easily accessible from outside of the tank, eliminating the need to drain it for service. The tank heaters can be installed as new, retrofit or a drop-in heater option. For more information, contact Rick Jay at 206-682-3414. PSS, Cleveland, has launched its newest product, the RoadQuake® RAPTOR™ rumble strip handling machine. It is designed to transport, deploy, realign and retrieve RoadQuake 2F Temporary Portable Rumble Strips (TPRS) in work zones, to improve operational efficiency and increase worker safety. The machine mounts to the front of a vehicle for ease of operation and has a capacity of 12 RoadQuake TPRS. The product provides positive portable protection when deploying and retrieving RoadQuake TPRS, and is designed for short-duration, short-term and mobile operations. Check it out under the Here’s How it Works tab at www.TheAsphaltPro.com. For more information, contact Aaron Scarfia at (800) 868-6657. Thunder Creek Equipment, Pella, Iowa, launched its multi-tank trailers (MTT) as the first fuel and service trailers designed to legally transport bulk diesel on the road without requiring drivers to maintain a CDL or HAZMAT endorsement (Title 49 (CFR49)—local regulations may apply). This is made possible by isolating diesel in four, six or eight separate 115-gallon, DOT-compliant, non-bulk tanks. Tanks are joined by a manifold to a common pump, creating complete isolation during transport and controlled dispensing of fuel at the jobsite. The trailers are available in 460-, 690- and 920-gallon capacities. Each MTT Trailer is available with an optional rear utility box. These utility boxes can be customized to each individual customer with the inclusion of toolboxes, a workbench with vise and Thunder Creek’s 3-in-1 welder/generator/air compressor. Additional options/customizations include Thunder Creek’s WorkSight light tower, Field Max tires, 35-pound grease kit, aluminum wheels, solar battery charger, an electric/hydraulic jack and a stainless steel trim/fender upgrade. For more information, contact sales at (866) 535-7667.